What features interest you today? Join us on Thursday, January 10 for the show’s best deals! Take advantage of one-day-only special offers on a wide variety of boats and marine products throughout the show. Plus, meet rising country star, Walker Hayes. Walker is riding the wave of success this year with his new single “90’s Country.” Walker will be on hand to meet his fans from 7PM to 8:30PM Thursday evening. 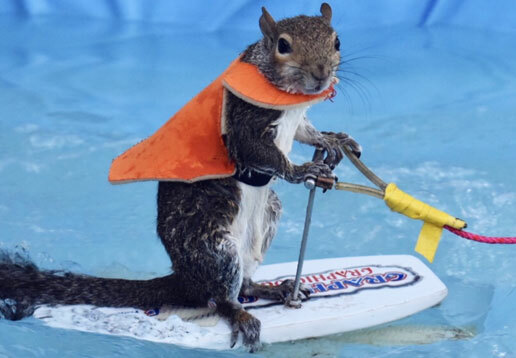 Don’t miss the world’s most famous watersports-loving rodent. 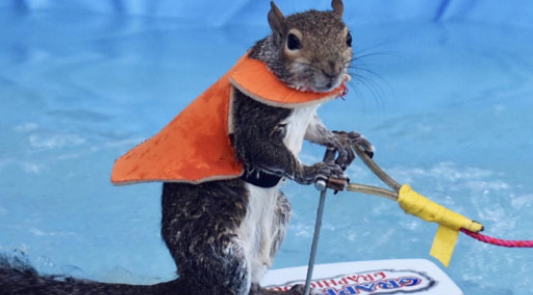 Twiggy will amaze and entertain you as she skis behind a radio-controlled boat that cruises around a custom-made heated pool. 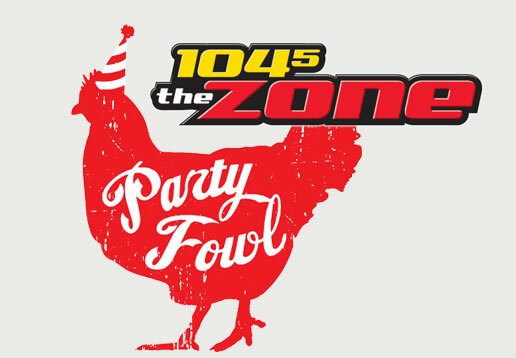 Cheer on contestants as they compete in our wing-eating contest hosted by WGFX-FM (The Zone), with wings provided by Party Fowl. The contestant with the biggest "appetite for success" will walk away with an Orca Cooler valued at $250. Contest to begin around 6pm. Listen to 104.5 The Zone for more details and your chance to enter. 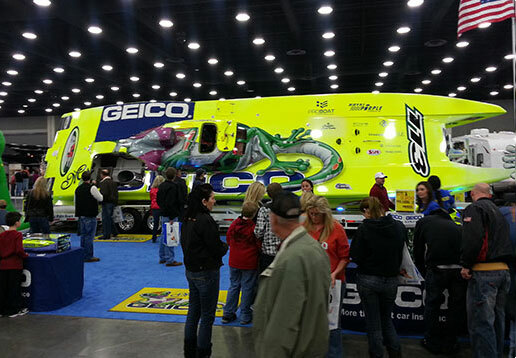 The fourth-generation Miss GEICO is a 50-ft. Victory catamaran made of carbon/Kevlar. Powered by 3,300-hp 1650 RACE Mercury Racing sterndrive engines, the world-champion offshore racing boat can reach speeds in excess of 200 mph! Stop by Joey's booth and learn about fly fishing, bait casting and casting accuracy. Hands-on instruction offers tips and techniques for everyone beginners to advance. 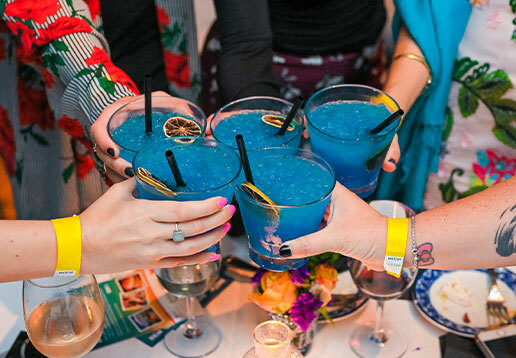 Take a break and meet up with your friends for drinks and tasty treats at the show's hony-tonk! Listen to live music from 5 pm to 9 pm on Friday and Saturday. 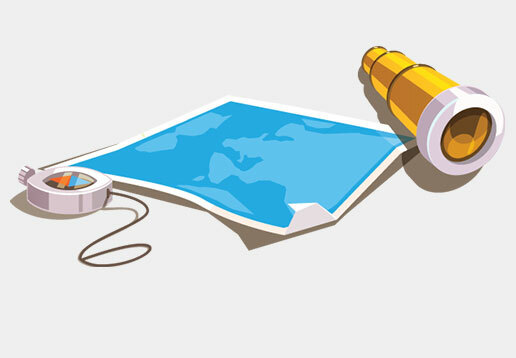 Little skippers are invited to navigate the show floor and search for recreational boats of all kinds to complete a Discover-A-Boat map. Return completed maps to USCGA for a prize (while quantities last). 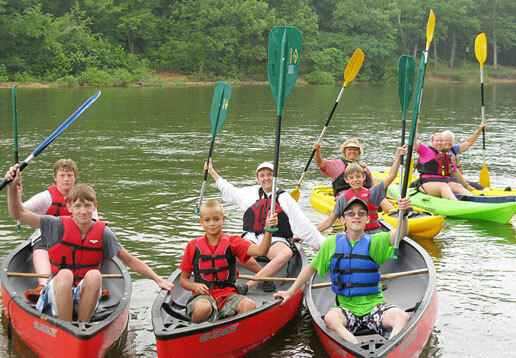 Kids ages 6–13, are invited to come learn about boating fun and safety at the ‘Spirit of America Education Center.’ Complete a “Boating Bingo” card by participating in activities such as life jacket relays, man overboard drills, sailboat racing, knot tying relays and much more. Kids who complete the “Boating Bingo Card” will receive a special prize at the show (while quantities last). 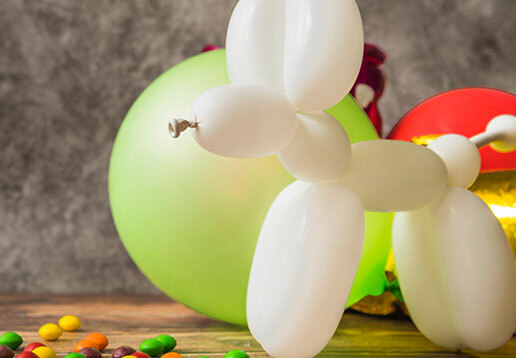 Sean T Hughes, the Tennessee balloon guy will twist, bend, and shape balloons into animals, headwear and other fun shapes sure to put a smile on your little one’s face. Sean will be at the Nashville Boat Club booth on Friday from 5pm to 9pm, Saturday from 1pm to 8pm and on Sunday from 1pm to 5pm. FREE for ages 5–12. 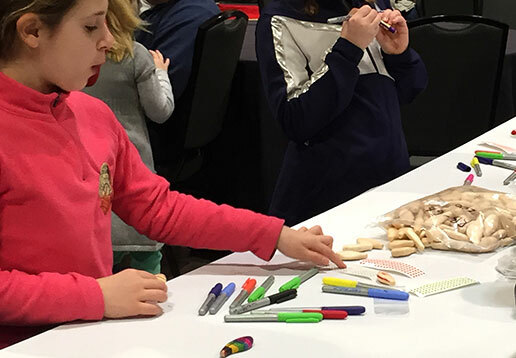 Crafty young anglers can color a plastic crankbait and add stick-on lures for a custom, take-home souvenir, while supplies last. 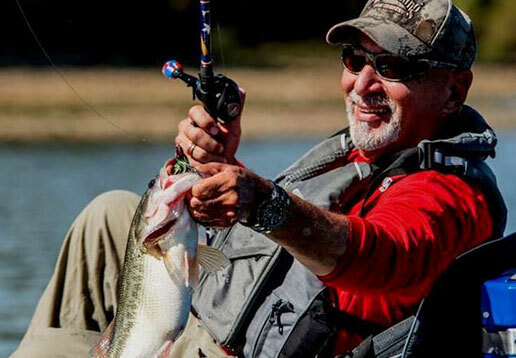 You’re one-stop shop to purchase first time boat registrations, renew your boat registration or pre-purchase your 2019 hunting and fishing license. 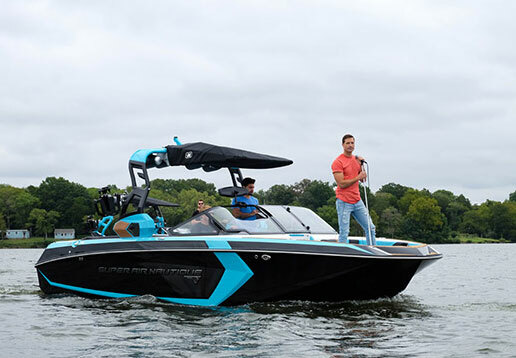 Plus, pick-up schedules and the rules and regulations you’ll need for the 2019 boating, fishing and hunting season. 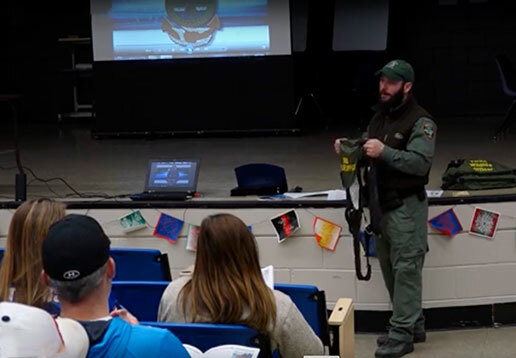 Free responsible boating course offered by the Tennessee Wildlife Resources Agency (TWRA) on Friday and Saturday in Show Office Hall C.
There is no charge for the class however, you MUST purchase a Type 600 Boat Safety Exam Permit and bring it to class with you. 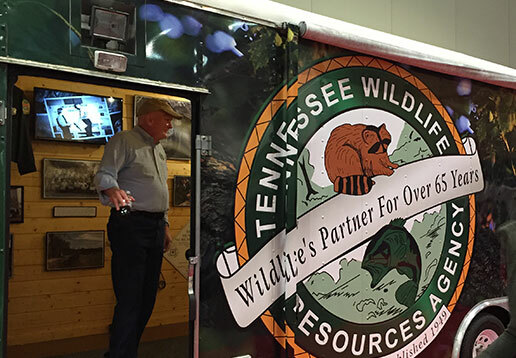 Registration also available at the TWRA Booth #503 through Friday, January 11. Upon completion of class and exam, show admission is FREE! NOTE: ONLY TENNESSEE RESIDENTS BORN AFTER JANUARY 1, 1989 NEED TO PURCHASE THE TYPE 600 PERMIT. Take the helm and set out on a simulated ”boat trip” to practice boating skills such as docking, pivot turns, stopping and more. 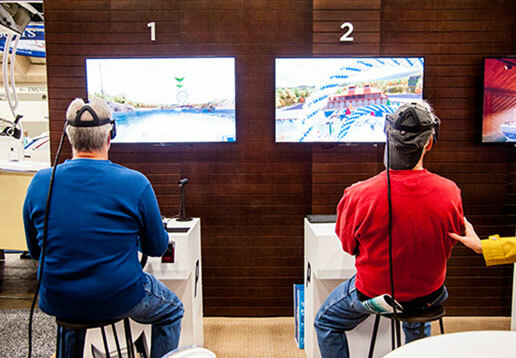 The America’s Boating Club Boating Skills Virtual Trainer is equipped with a steering wheel and real Mercury throttle to give you hands-on experience as you pilot your virtual boat on a lake with other powerboats, sailboats, navigation aids and a marina.